So I did something I've never done before. I made my nachos on a parchment-covered sheet pan in the oven. I even found a cute small pan for just that purpose. I think it's a quarter-sheet pan. I pre-heated the oven to 375 degrees, then piled some chips on the pan, then covered them with a ton of sharp cheddar cheese. For toppings this time out I went with sliced mushrooms, diced roma tomatoes, some chopped scallions, and enchilada sauce. I put them in the oven for about 10 minutes. While they were still piping hot, I added some sriracha aioli I made, some diced avocado, and a dollop of Greek yogurt. This was a revelation. I don't think I'll ever use the microwave to make nachos again. The difference is staggering! The slightly browned chips have a deeper flavor. The toppings are cooked through and warm. The cheese is gooey. I could go on forever. This is a game-changer. 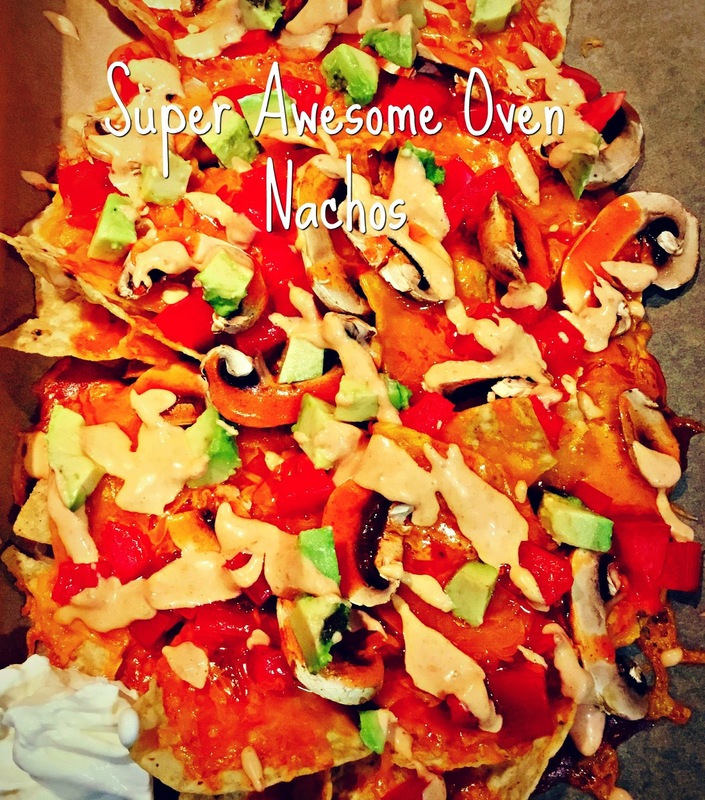 Go make yourself some nachos in the oven right now!